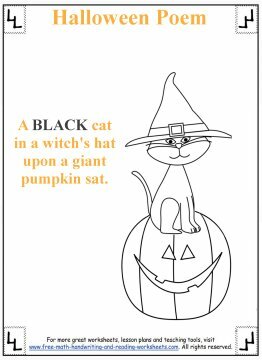 These Halloween poem worksheets are a fun way to introduce colors and numbers to Pre-K and Kindergarten students. Print out the worksheets below, read them together, and have your child color them. For students beginning to learn how to read, this Halloween Activity which features the '5 Little Pumpkins' poem is great. 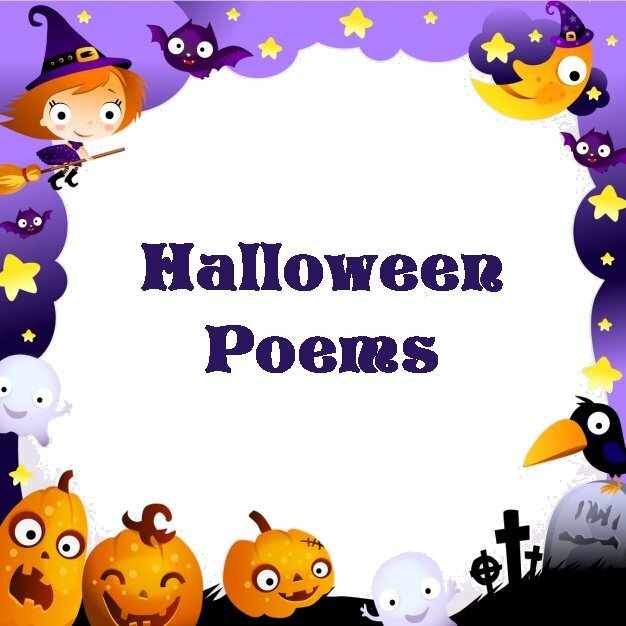 It offers two different ways to get crafty with the Five Little Pumpkins poem. The first poem is a simple rhyme that focus on the -at sound. We've been working on reading -at words in our house with our Kindergartener who just so happens to love coloring as well. So, print out this poem, read it to your child and have her practice the words cat, hat, and sat. 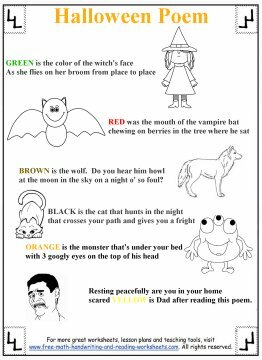 The second poem worksheet emphasizes colors. Learning colors is often covered in Pre-K, but in Kindergarten, children begin learning how to spell their words. This worksheet would be great for either grade level, while older students will enjoy the poem. Have your child color the Halloween objects based on the colored word in each line. If you have a poem you would like to submit, use the contact link on the right and we will create a worksheet out of it and name you (if you wish) in the credits. Thank you for visiting and have a fun and safe Halloween.